Successfully Added Conquest S10 Rugged Smartphone - IP68, GPS, Octa Core, LED Light Torch, OTG, NFC, 5000 mAh Battery, 4G to your Shopping Cart. Conquest S10 is the rugged exterior of this phone brings an IP68 waterproof and dustproof rating, the reinforced body brings shockproof protection and it can also withstand pressure and extreme temperatures. Add to that the scratch resistant Corning Gorilla Glass 4 screen and you have one tough rugged smartphone that can go and operate almost anywhere. 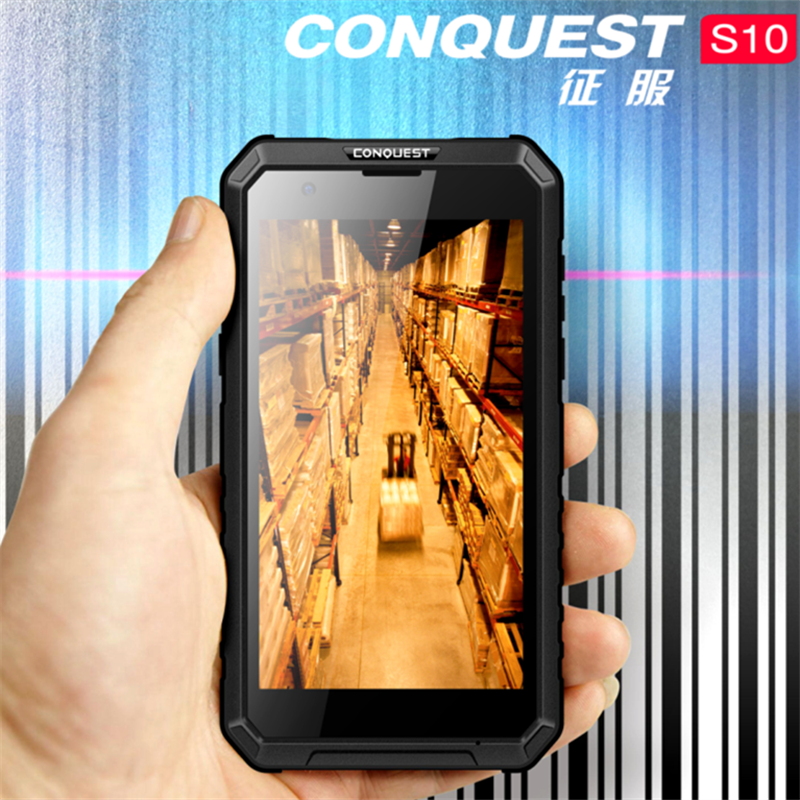 This Conquest S10 smartphone is an almost indestructible gadget that is tailored to the outdoor worker or adventure seeker and can withstand the hardships and tough conditions of a building site or alpine peak. In short, the S10 is built like a tank. This superior rugged phone has strong LED light torch in the top of phone and will light up for 12 hours most with 5000mAh battery. There is 64GB of onboard memory and this can be extended via a micro SD card slot. 4G support across a wide number of frequencies help you connect to the fastest mobile networks in most regions of the globe so staying connected couldn't be easier. With OTG you can tap into this power reserve to recharge your other gadgets. Packed full of sensors the Conquest S10 smartphone will make navigation easy with its compass and GPS functions and can even tell you the current temperature along with other barometric readings. NFC lets you use the phone for secure Android payments and FM Radio round out the list of great features on this rugged Android phone.